July is here and that means more classes at the Athleta Studio (126 5th Ave., NYC). We'll be back for three classes this month on Fridays July 6th, 20th & 27th. The classes on the 6th & 27th will be lead by Krista and the class on the 20th will be lead by Ariana. Class on 7/20 will be lead by Ariana. It's that time of year again! 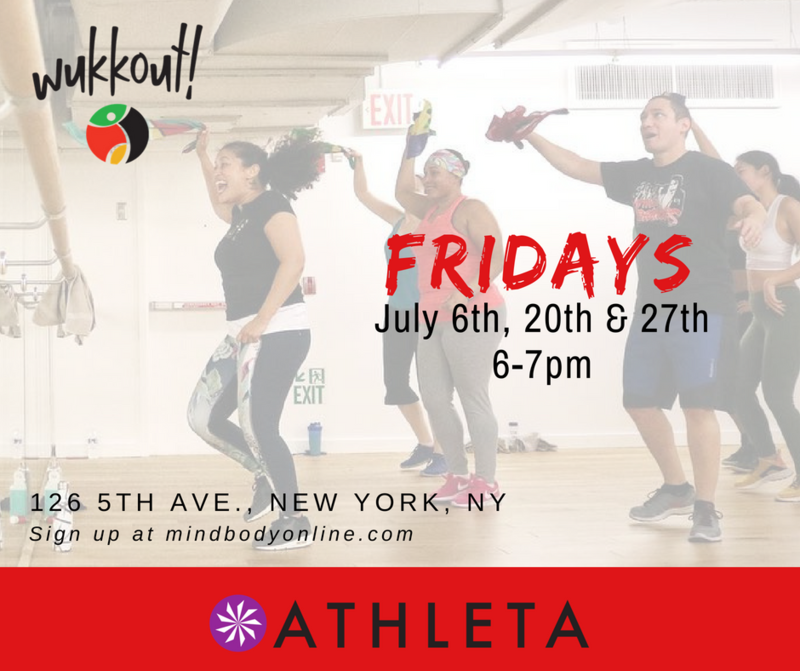 Join Wukkout!® Founder and Athleta Brand Ambassador, Krista Martins, for a special Friends & Family Wukkout!® Class followed by a shop party, on Friday March 9th. 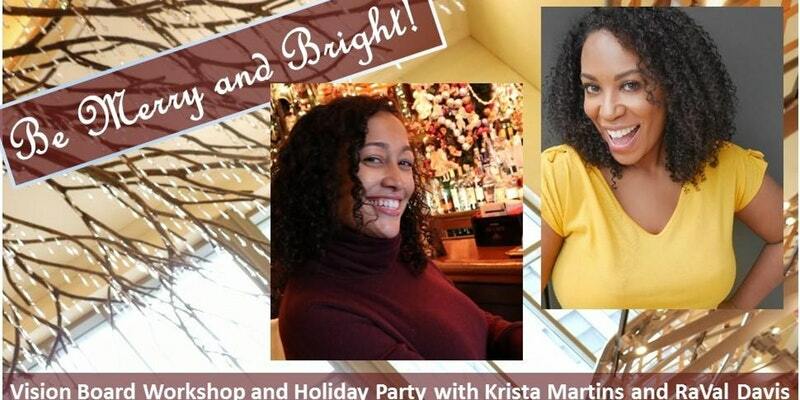 First, wuk up a sweat and wine down low with us and then feel free to stay and join us for a Caribbean Rum Punch tasting provided by Cas Rum Beverages and a Power Posture fashion show, featuring Krista and the new Athleta Spring collection. 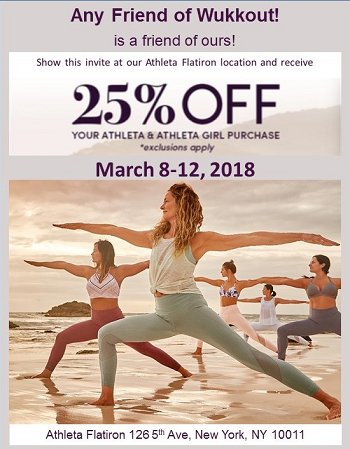 Additionally, it's Friends & Family weekend at Athleta so that means all class participants will receive 25% off of your entire purchase, including sale and Athleta Girl (some exclusions apply). The class is free and open to the public however, there is a catch. 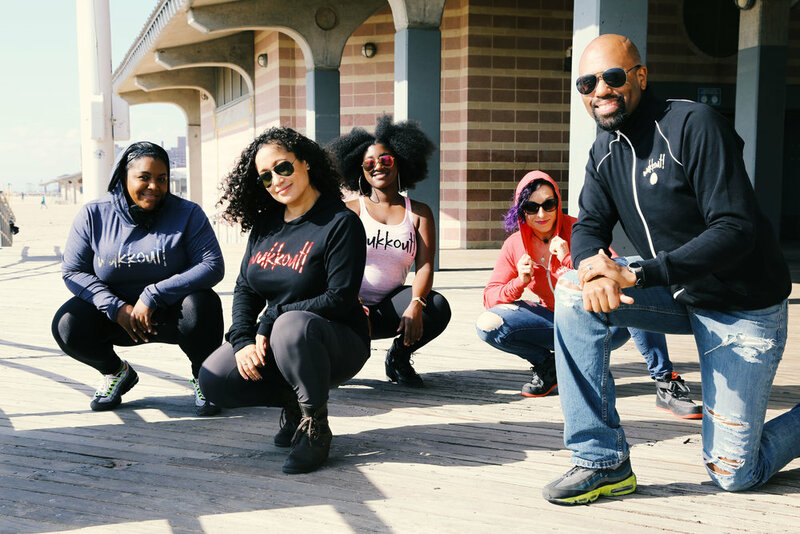 We would love it if you share the Wukkout!® love and invite one friend or family member to class with you who has never taken Wukkout!® before. When you register for the class, you will have the opportunity to add their name and email address and they will be added to the class list with you and receive the shop discount. Details below. So tell your friends and family to come Wukkout!® and celebrate with us! Cas Rum Beverages is a bottled rum cocktail company consisting of Belizean-style rum popo (spiked egg nog), rum punch, & rum sorrel made with love in Brooklyn. Can you believe it's already September?? We will be back at the Athleta Studio (126 5th Ave., NYC) this month for two classes only! Classes will be held on Fridays September 1st and 8th at 6pm. As always, class is free and open to the public however early registration is highly recommended as spaces (and the waiting list) get filled quickly. Registration opens up 10 days prior to the class you'd like to take so keep an eye on MindBody to reserve your space. Click here to pick up Wukkout!® Founder, Krista Martins', Patchwork Salutation 7/8 Tight by Athleta (pictured on the right). September is right around the corner and we're not quite ready to get back to the grind. Grab your girls and join Wukkout!® Founder and Athleta Ambassador, Krista Martins, for a relaxing evening at Athleta Flatiron on Tuesday 8/29. We will have special wellness guests on site to assist you with winding down. Details below. From 5:30-7:30pm, Professional Mover & Sacred Space Holder, Alyson Joy will be offering complimentary, personal Vibrational Sound Therapy sessions to assist you with grounding, balancing, re-centering and deep relaxation. Additionally, Fitness Professional Wasidah Francois will be offering 1 minute hand massages with her Wasidah Coconut & Coffee Body Cream & Scrub. Lastly, feel free to shop Athleta's newest super cozy collection as you sip a Huckleberry Lemonade cocktail provided by 44 North Vodka for our happy hour. If it's your first time shopping at Athleta's Flatiron location, you will receive a special discount offer when you sign up as a NEW client with them. If you are already an Athleta Flatiron shopper, simply bring a friend who is new to the store and you will both receive the discount! *Discount offer valid for 8/29 ONLY. Cost: FREE - RSVP at link below. Enter password "WINDDOWN"